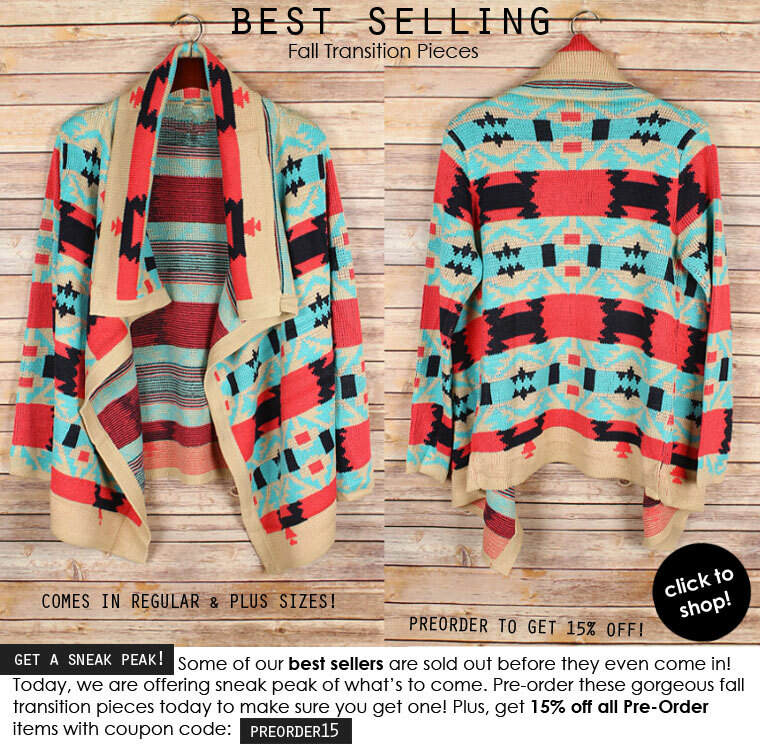 Our Tribal Aztec Cardigan Sweater will be your go-to piece this season. The perfect fall transition piece! Thick, warm, cozy, and stylish. The bold colors & prints will make your outfit pop. We already have a lot of orders, so pre-order now to make sure you get one. 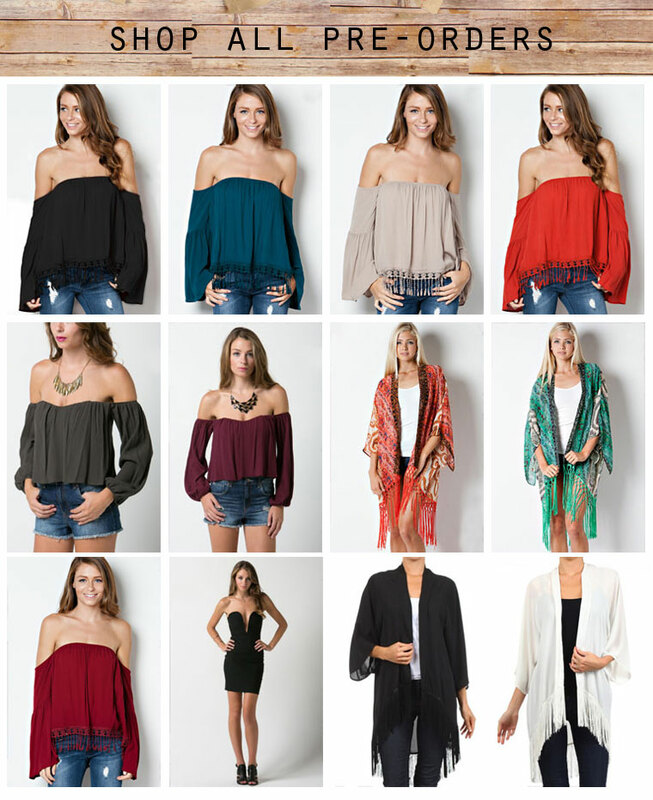 Also, our fringe off the shoulder tops and fringe cardigans are a big hit! Coming in soon. *Get 15% off all pre-order items with coupon code: "PREORDER15". Order early to get the discount and to make sure you reserve your size. Items may sell out before they come in. Discount no longer valid once item is in stock. See product page for approximate stock date. Pre-order items will ship as soon as the item is available. Offer does not apply to previous purchases.